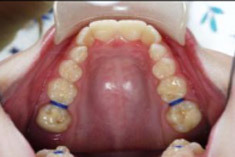 Removable appliances such as plates are often used in conjunction with other orthodontic treatment to broaden arches and straighten crowded teeth. 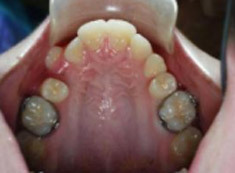 They can also be used in growth development in children before any malocclusions can form. Bionator is a removable appliance made up of plastic designed to stimulate the growth of the lower jaw while restraining further growth in the upper jaw. You wear the Bionator on the upper arch connected and it holds the lower jaw forward to encourage growth. The appliance is suggested for patients from 7 years of age who suffer from an overbite or upper teeth sticking out from uneven growth or thumb sucking. Patients who suffer from this may have trouble breathing properly, be prone to tongue thrusting or suffer from jaw pain or TMD. Early interceptive care and use of a Bionator is desirable to reduce these symptoms and possibly facilitate later long-term treatment. To learn more about preventive treatments at Greater Springfield Orthodontics click here. The twin block appliance is made up of two parts that attach to both the upper and lower arch. It holds the lower jaw forward and encourages it to grow into alignment with the upper jaw and often increases the width of the upper arch at the same time. 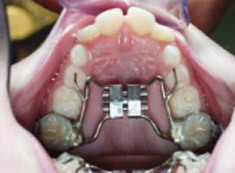 The appliance trains the wearer to bite in the correct position and over time the jaw will do so without the help of the Twin Block. 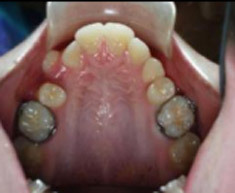 The appliance is suggested for patients from 8 years of age who suffer from an overbite or upper teeth sticking out from uneven growth or thumb sucking. Patients who suffer from this may have trouble breathing properly, be prone to tongue thrusting or suffer from jaw pain or TMD. Early interceptive care and use of a Twin Block is desirable to reduce these symptoms and facilitate later long-term treatment. 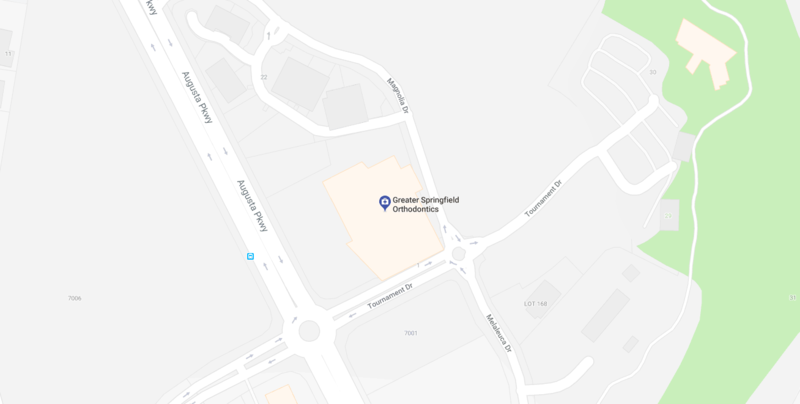 To learn more about preventive treatments at Greater Springfield Orthodontics click here. 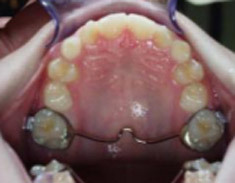 A palatal or lingual arch is a metal orthodontic appliance attached to the rear two molars on the upper or lower arch. The wire will either be attached directly across the top of the mouth or run along the inside arch. It is used to maintain the molar position throughout other treatments or can be used to move the molars into a more suitable position. 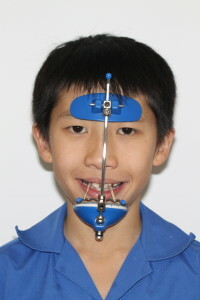 This appliance is used to widen the upper jaw to ensure a more appropriate fit with the lower jaw and subsequently an accurate bite. Expanders are most commonly used for children, however, can also be used for adults when necessary. As well as the aesthetic implications a narrow upper jaw can result in difficulty with nasal breathing, airway obstruction, sleep apnoea and snoring, as well as a crossbite, which often require urgent treatment from age 7. 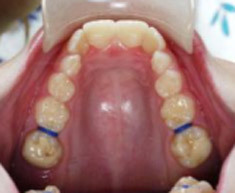 A quad helix is cemented onto the back molars and uses a spring to widen the upper arch of the patient. This can be used to make more room for overcrowding teeth and correct crossbites. 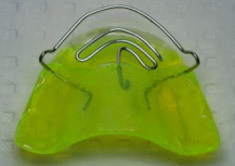 When used early (from age 7) it can also be used to treat a narrow upper jaw associated with airway obstruction, sleep apnoea and snoring, as well as problems caused by thumb sucking. 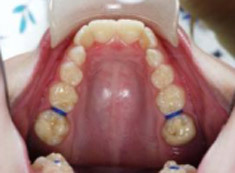 A Herbst bite corrector is typically used to eliminate an overbite. 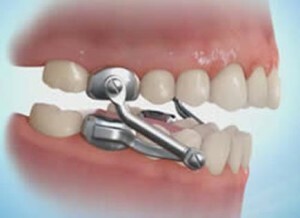 The appliance is attached to the upper and lower molars in order to hold the lower jaw forward. 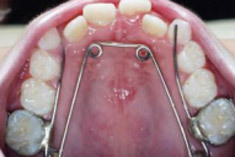 In some cases, the jaw can also be widened using expansion screws. 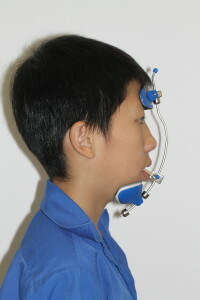 A protraction face mask is used to apply forward and downward pressure to the upper jaw to facilitate movement correcting severe malocclusions. The face mask is an external appliance attached to the face with elastics attached to small hooks in the mouth. If your dentist has suggested a plate or you are concerned about the growth development of your child’s teeth, make an appointment with Greater Springfield Orthodontics to have as assessment and treatment plan discussed.